Is your press release intended for the media? Consumers? Analysts? Investors? 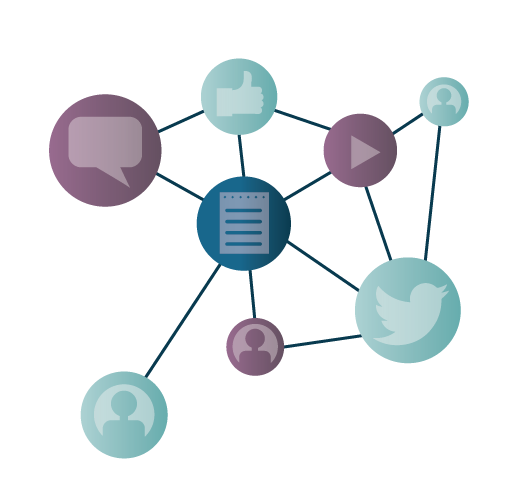 Most wire services have targeted distribution lists that can help you reach the audience that is most important to your news or brand. Craft your message in alignment with what you know about your audience’s goals and interests. What are your communication goals? Is your PR or Marketing team interested in brand awareness, media coverage, website traffic, or a different objective? In other words, what do you want your intended audience to do with this news? You’ll need to establish your budget for distribution, including options such as adding photos and videos. From headline to contact information, press releases require certain essentials to make them distribution-ready. However, in order to capture online attention and increase the chances for earned media opportunities, you also need the right formatting and digital components. To help spread your news and improve audience impact, here are a few guidelines to follow as you put together your next press release. The definition of “newsworthy” has expanded in the age of search engines, meaning press releases are no longer only read by or written for journalists. However, reputable newswire services are still evaluating press releases to ensure content quality before distribution. In general, content that is purposeful, well-written and connects with a target audience will be rewarded by search engines and shared by readers. Once you’ve grabbed your readers’ attention, start adding in the details. Be aware that Google rewards substance: press releases 300 words or more rank higher in search results, as do press releases written in natural language. Avoid keyword stuffing and jargon. Instead, use short sentences and bullet points to break up the text for visual interest. Provide the highest resolution image possible to allow journalists and your audience to resize the media for different channels. Multimedia must be yours or be free and properly licensed. Before submitting multimedia that is not yours, please read Can I Use That Picture? 3 Rules to Ensure Your Blog Isn’t Breaking Copyright Rules. Keep it short and sweet: 60 seconds or less is a general ideal length for videos. Keep it short and sweet. According to Ad Age, you lose 33 percent of viewers by 30 sec, 45 percent by 1 minute and 60 percent by two minutes. Make sure the message matches your audience: Video can be a great communication format and vehicle for any audience. But before you shoot, have a clear understanding of who you are speaking to and what you are trying to say. If you develop a script and even a storyboard beforehand, that can help ensure your message comes across as you intended. An exception would be a live event, where you want to document exactly what happened in real-time. Journalists are generally in a time crunch and do not always have the time to reach out for a unique quote. Help them out by including quotes from your spokesperson that they can reference or include in their coverage. Make sure your quotes have a conversational tone and use words your spokesperson would say out loud. 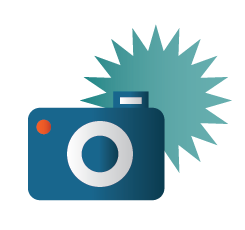 Looking for a multimedia opportunity? Turn your quote into a video or sound bite that can be shared across social platforms. Do you want readers to visit your company blog, download an e-book or republish an infographic? A strong call-to-action will guide readers to take a certain action over another. 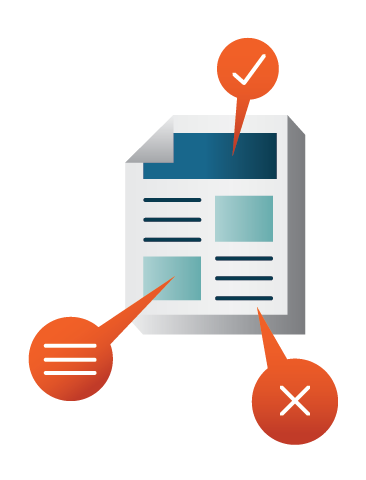 Stick to a single call-to-action to avoid reader confusion and help focus results. Include your call-to-action high up in the release content— preferably in the first or second paragraph. The customer content services team counsels three links per 1000 words, not counting boilerplate links and contact information. Too many links can result in search engines flagging your news as “SPAM.” Your links should be specific to the content in your press release. If you want readers to access your investor page, don’t send them to your homepage. If there is information that needs to be cited but you don’t have room for a link, consider a footnote instead. Additionally, track engagement with these links to determine your press releases’ impact on revenue. Close every press release with a standard company boilerplate. Keep it brief, avoid industry jargon or acronyms and include links to your website and social media accounts to help drive traffic. Your media contact should be a credible spokesperson for your company that is readily available to answer media requests. Include his or her phone number, email address and social media handles so journalists and influencers have a variety of contact methods to choose from. If your organization, or the content of the press release, appeals to an international audience, this is an excellent opportunity to distinguish yourself from your competitors. 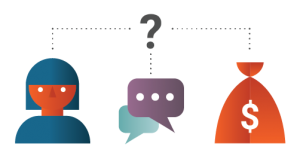 When appropriate, consider localizing your message for each unique market you want to capture and translating your message to connect with your audience through additional languages, even within the U.S. or Canada. 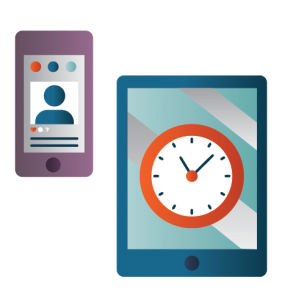 The time required to translate your press release will be dependent on the length of your press release, and Cision can assist with this. Now that you have brought together and tweaked all of the information required for your press release, it’s time to reach out to PR Newswire. You can save time by submitting your press release using the online member center, which asks for all necessary information that will be needed for the project. Submitting your release online, rather than emailing in a release, will eliminate some of the manual work that happens behind the scenes, helping you to meet your deadlines more easily. Spelling mistakes, grammatical errors…we’ve seen it all. Your press release may have gone through several levels of review, but an extra set of eyes with editorial experience never hurts. Consistency is key. We review things like acronyms and the names of people and places to ensure that they are spelled consistently throughout your press release. Our team leverages their experience to share what works, what doesn’t, and how a press release can be optimized to help an organization meet their goals. We can offer insider tips and suggestions on how your press release can cut through the noise and make an impact. Just ask for an SEO consultation, and for any other tips to improve your chances for earned media pickup. Press releases are converted from your word document to a “web-ready” HTML format in order to best be distributed online and to the media. This assures your content will render well on a variety of different sites, as you intended. If your press release contains any elements such as tables or multimedia, some additional time will be required to format these components so your content is readable. By using a trusted distribution service like PR Newswire, you can rest assured that your press release will not only go to journalists to increase earned media opportunities, but it will also be posted to trusted websites for maximum online discoverability. But your work is not yet done—now that you’ve distributed your press release, you should share it on social media in order to increase the chances that your audience and influencers will see it and share it. You’ll need top-notch tactics and strategies to lift your engagement and make social media work for you. Each social media platform has different peak hours, and each user group may use social media at different times. Test posts at different times of the day to see which ones get the most engagement to figure out when your audience is most active. In addition to tailoring your content to each platform, you’ll have to tailor your delivery time as well. Once you know when your audience is listening, stay consistent with the time you post. This allows your social media community to come to expect and anticipate your content. The same strategy works well for platforms like Facebook and YouTube. As Twitter is a real-time feed, don’t count on it working in the same way, but it can still help to remember to post at specified times in order to stay consistent. Our followers are human beings. Don’t just treat them like numbers. Genuinely value their interactions and try to gauge their needs. Just as you would want them to know you’re a person behind that company logo. These are real people with interesting thoughts and opinions. They want to engage with you—not as a company or brand, but as a familiar friend. Leverage multimedia content to drive engagement and interaction, and consider posting videos, photos, and infographics more frequently. If you are linking to a blog post, be sure to add an accompanying image. To boost engagement, post multimedia content which is unique, colorful and highly shareable. Journalists are more prepared today to engage in a digital-first environment and they see sponsored content and native advertising as less important than last year. This presents a huge opportunity for brands to tell newsworthy stories in a variety of formats; by doing so, they can use content as a tool for building brand credibility and thought leadership, educating and entertaining their audiences and driving the business forward with a carefully considered earned media strategy. When surveyed for the 2017 Cision State of the Media Report, mobile compatibility, video and image-based content, influencer marketing and social media as a journalistic resource were all cited as rising trends. 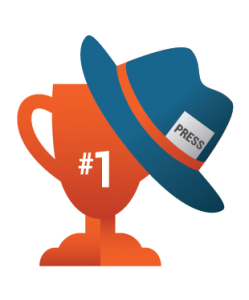 Journalists cited press releases and story leads as their #1 most valuable PR resource. Journalists value news releases and want brands to provide high-quality content. Journalists ranked news releases as the third most valuable channel for audience engagement, after Facebook and Twitter. When asked how often they use multimedia, 71 percent of journalists cited that they always or often use it. The rise in usage of multimedia caters to the changing media consumption preferences of their audiences. Brands should take note of this; by providing multimedia content to journalists you are increasing earned media opportunities and providing more engaging stories. Journalists also ranked the specific multimedia and data elements they’ve used over the past two to three years. The top three elements include photos, social media posts and videos. This gives brands a good variety of resource ideas and formats to choose from when they are crafting their next press release. Consumers often leverage press releases and social media to communicate new research, announcements or important data. According to Cision’s 2017 State of the Media Report, 56 percent of journalists always or often use data. Consider creating polls based on the data in your press release or research to further engage audiences, get them talking about your news and click through to your press release and owned sites. The people within your organization are the ones who know your company best. 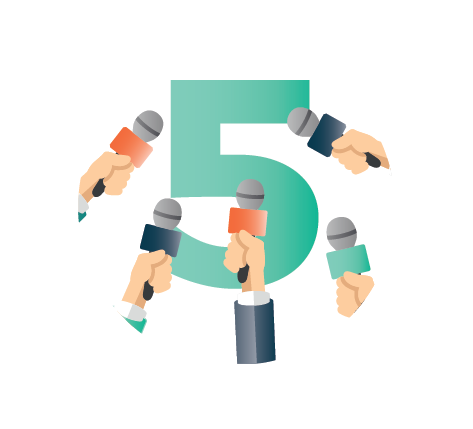 If you’ve quoted them in the press release and made themselves available as a HARO expert source, that’s a good first step to capturing earned media opportunities. Next, ask them to be involved in Q and A sessions, real-time Twitter chats, and Facebook Live events to provide additional value and interaction opportunities for your prospects and customers. Take your message even further by engaging influencers outside of your organization who can offer a fresh perspective and can bring new eyes to your company. If you have connections who would be willing to participate in answering questions on a social media channel, reach out to them and leverage their knowledge or opinions. Consider additional video on social media for in-depth responses. Try using video uploading services such as YouTube or Vimeo to create a short video response to consumer questions. This can help ensure things are clarified for the user, especially if the question is coming from Twitter and the 140 character limit creates restrictions. Firing up the webcam and answering a question is much easier than writing a response or clarifying at a later date—and your audience will appreciate the additional information. Now that you are armed with the answers you need to distribute and share your press release with the world, it’s time to get started.